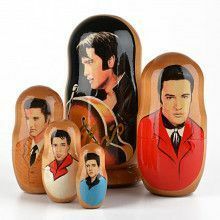 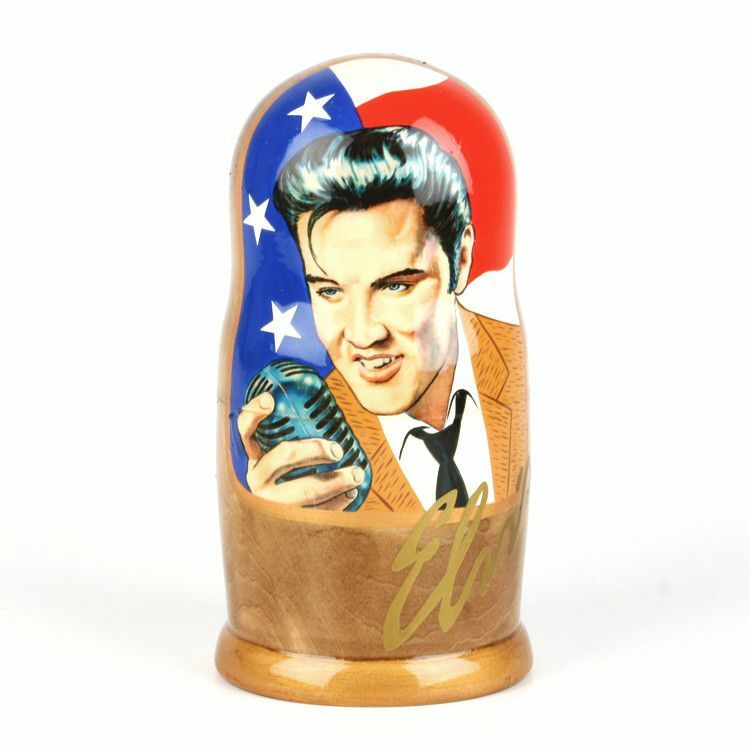 This imported nesting doll features the likeness of Elvis Presley on each doll. 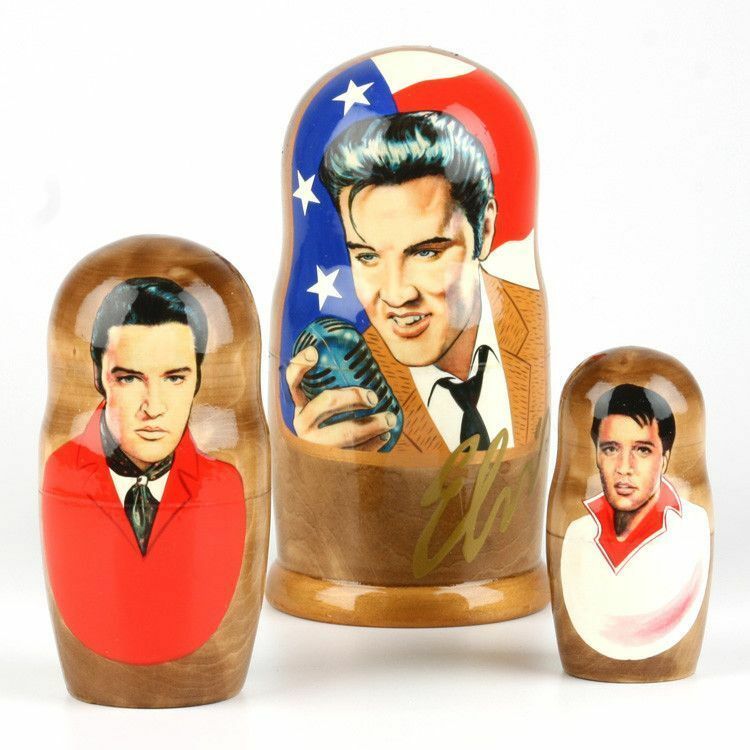 The largest doll measures 7" tall. 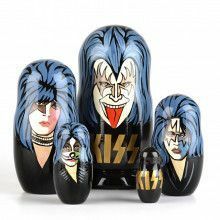 Open it up to reveal the smaller dolls nested within it. 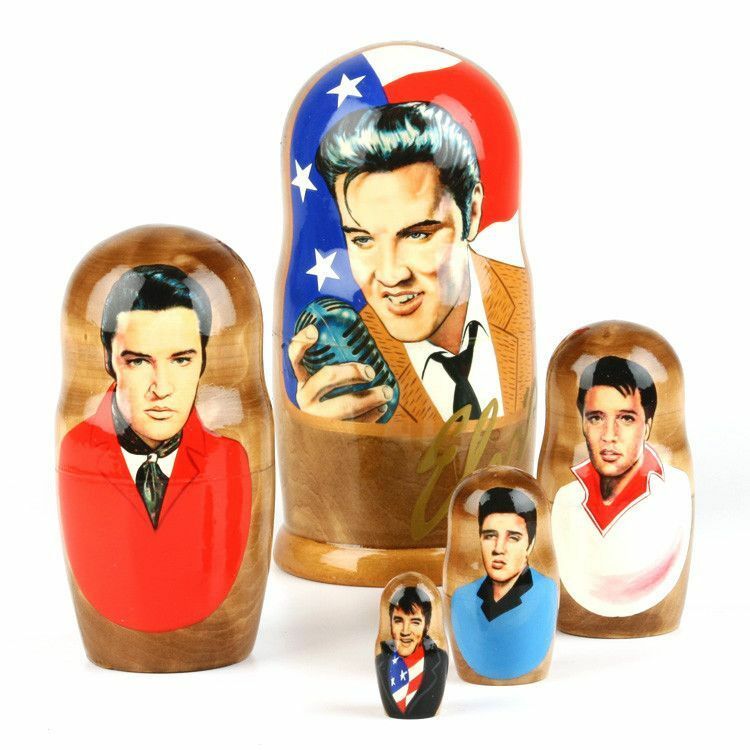 This doll was hand-crafted (differences exist between each and every doll), and is made of wood. 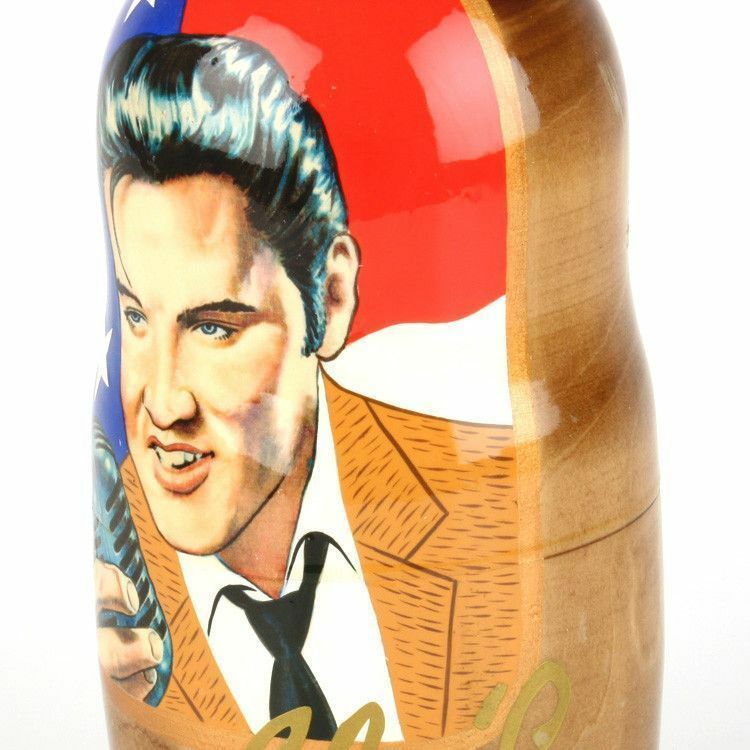 Perfect for a conversation starting display piece, or for any fan of the king of rock n roll.